Forget the King, Clay needs a mech too! 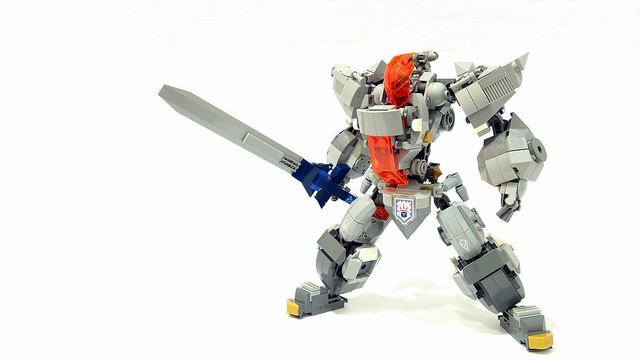 I’m loving Nexo Knights, and it seems chubbybots is too — they didn’t just use the theme, they also created a great model. I really like this. Not only is it a competent mech model, but it would fit right into the Nexo Knights set range as a robot for the character Clay. While the amount of gray jars at first, it works well when you think of it as a suit of armour.